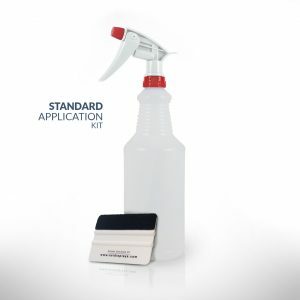 Standard Application Kit: This kit comes with a small, professional-grade application squeegee and a bottle of application fluid concentrate (just add water). 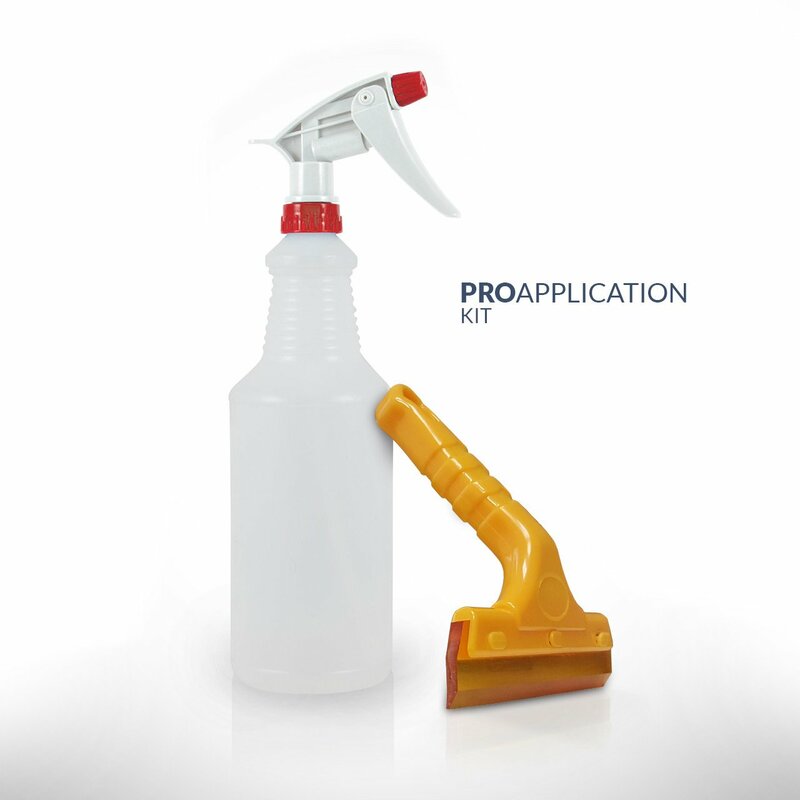 PRO Application Kit: This kit comes with everything you would need for a rear projection film or anti glare film application. PRO Kit includes a higher-grade squeegee for increased coverage and application ease and a bottle with our application fluid concentrate (just add water). *Application fluid concentrate may spread across the sides of the bottle and may not be visible upon arrival. **When filling with water, look for slight suds to know that your application fluid is ready. One time use. Purchasing one of our projection film application kits is very much advised if you are purchasing a sample pack to test with, or any one of our rear projection films. Every film uses the same type of built-in, hi-tac adhesives that require application fluid, not water, for installations. 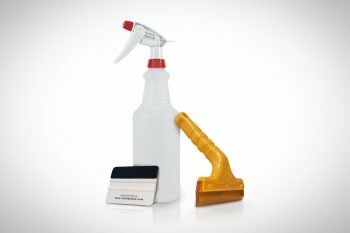 The installation squeegee is just as important, if not more important, for a high quality film installation as application fluid is. Incorrect squeegees can not only scratch and damage a rear projection film during installation, but also inferior squeegees don’t allow you to apply the amount of even pressure needed to remove all of the application fluid from under the film during your installation. Application fluid is your friend! A common mistake is not using enough application fluid during installation. This results in streaks in your film due to adhesive not being fully used and, more importantly, limits the amount of time you have to position your film. If you would like to get more tips on how to properly install your rear projection film, feel free to contact our representatives with your installation question.